Why Do Women Want Breast Implants? Why do women want breast implants? The factors that drive women to undergo breast augmentation surgery play an important role in postoperative satisfaction. In fact, as experts in the field, we can predict with almost 100% accuracy who should and who should not undergo plastic surgery to enlarge their breasts, based on the reasons why the woman desires a larger and fuller breast size. The reasons used to justify breast augmentation surgery are diverse and always a controversial topic of conversation. As always, opinion factors heavily into the subject, with people taking dramatically different stances on why a woman should or should not undergo elective cosmetic breast surgery. This report delves into the possible reasons cited by the majority of women to justify their desires for breast implant placement. We will discuss both excellent motivations, as well as poor motivations and try to persuade women to become introspective about their true motivations before deciding that breast augmentation is right for their needs. We will not introduce third person ideals of ethics or personal beliefs into this conversation, since every woman deserves the right to make up her mind as to what is best for her own body. When discussing internal motivations for plastic surgery, we are describing thoughts and feelings that come from within, driving the imperative to act on modifying the anatomy for personal satisfaction. Many women have issues with body image and self confidence or simply want to look a particular way to make themselves happy. These internal motivators are the best reasons to undergo any type of plastic surgery and are especially important for aspiring breast implant recipients. Postoperative patient satisfaction ratings are much higher in women who undergo breast augmentation for justified internal motivating reasons. 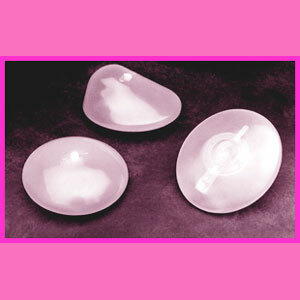 Fewer women demonstrate breast implant regret and more women cite positive long-term experiences with their implants. Therefore, we recommend that if you are considering getting breast implants, you should be motivated primarily, if not totally, by internal desires to look and feel better, rather than the poor external motivating factors detailed in the section below. External motivations for breast surgery describe reasons that women have for undergoing a procedure based on factors that exist outside their own mind. These factors fall into several categories, ranging from career aspirations to the desire to please their loved ones, as is so common in women who get breast implants to appease a lover or spouse. External motivating factors are not as accurate in predicating positive postoperative satisfaction. In fact, the majority of women who suffer significant postoperative complications, as well as those who demonstrate substantial regret post-surgery, were motivated primarily be external reasons to get implants. Therefore, we always try to dissuade women from giving in to these external reasons for undergoing breast surgery, since in the long run, they might have serious negative consequences to mind and body that are not easily repaired. It is extremely important that everyone reading this report study our pages detailing both internal and external motivating factors for breast surgery. If you see yourself personified on the internal motivating factors page, you will have a much better chance of enjoying your new breast implants and feeling satisfied with your decision. However, if the external motivation profile fits your circumstances better, and especially if you feel highly pressured to get implants to make someone else happy, then you should really think twice about surgery. Do you really want to be just another woman who regrets her choice to get implants immediately or eventually? Do you want to risk the increased chance of suffering a complication since your mind and body are not on the same proverbial page? No; of course not. Do yourself a favor and make quality choices when it comes to breast implants. Only you can answer the question, “Why do women want breast implants?” given your own specific life circumstances. Just be sure to examine the question and provide the best and most truthful answer before you actually agree to undergo the procedure.